Mazda believes that the ideal driving position can create more exhilarating driving experiences, add comfort and help improve driver safety. Driving position is a major component to achieving Mazda’s Jinba Ittai, or “horse and rider as one,” philosophy. In addition to the upscale interior in the Mazda6, the same human-centric design principles Mazda applies to all of its vehicles continues in its flagship sedan. As a reflection of Mazda’s commitment to designing its vehicles around the driver, vehicle-control devices, such as the steering wheel and pedals, are placed in locations that are natural for the driver. For example, the accelerator is located precisely where the driver’s feet will reach naturally without the need to offset or twist the lower body. Mazda engineers studied human walking patterns to find the ideal state for the driver and passengers of Mazda6. 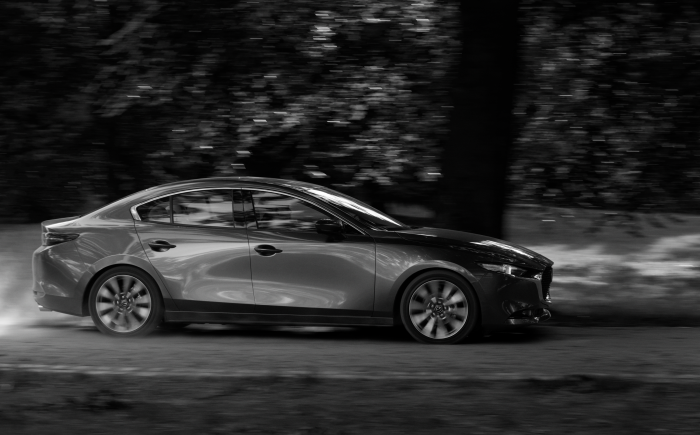 The human spine forms an S-shape, and by designing the Mazda6 seats to support this posture, it allows occupants to use their natural and instinctive balance ability to help achieve a comfortable, relaxing driving experience. Using high-density, vibration-absorbing urethane foam creates a firm, yet supple and supportive, seating surface for all passengers. If the seat is transmitting too much road vibration to the occupants’ body, it could result in fatigue from a long drive. Available heated and ventilated seats for the driver and front passenger helps keep the body at a comfortable temperature. The ventilated front seats wick warm air and moisture away from the driver’s back, using a vacuum-like effect rather than blowing cold air. The result is that the driver and front passenger maintain cooler backs, rather than just blowing cool air into a space where hot air is trapped. The front seats still feature three-stage heaters, and the rear seats are available with heaters as well. A natural driving position allows the driver to control the car smoothly with minimal mental distraction and maximum situational awareness. By providing a comfortable posture, the driver may feel less fatigue and allows for an optimal driving experience.